Subject to availability. Booking only valid 01/3/2016 – 30/03/2016. Must mention ‘MASTERS’ code to claim special rate. 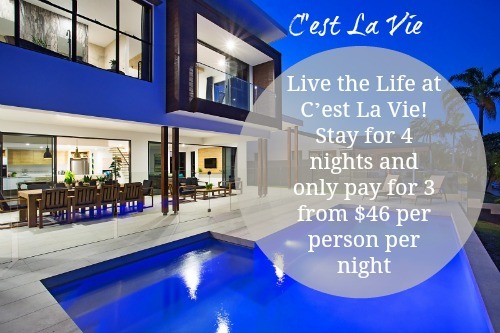 $46 per person per night is based on 16 paying people per night for a minimum stay of 4 nights. For full terms and conditions on all bookings please go here. ~ Please quote ‘MASTERS’ when booking.